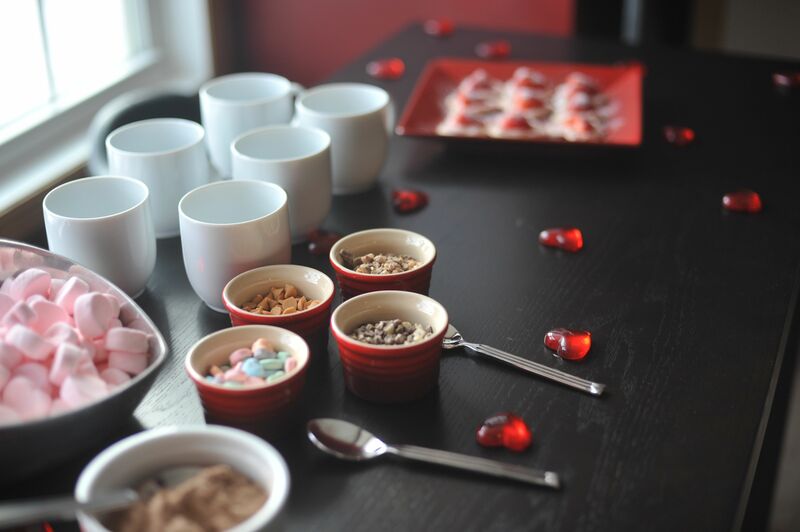 This weekend we hosted a Valentine Brunch for some friends…. One of the items on our “menu” was a hot chocolate bar. I just made different cocoa fixin’s and people could make their own hot chocolate. 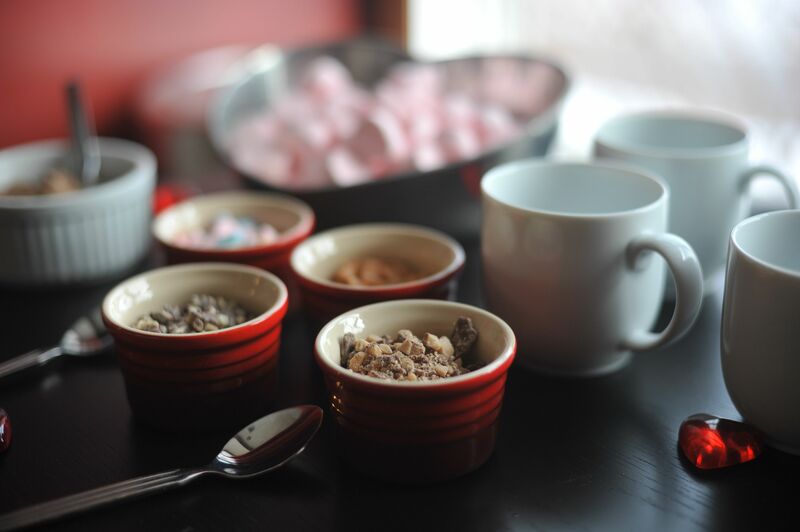 Some of the options included; toffee chunks, mint, butterscotch, marshmallows, whip cream, and cocoa powder… You could also include carmel, coffee, or what ever your favorites might be! Here are some pictures…. 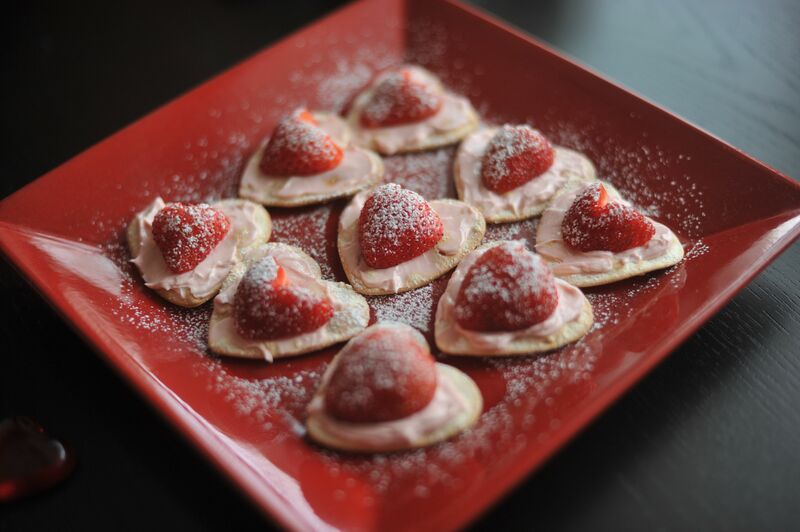 For an easy appetizer I took heart shaped crackers (but any shape would work) and spread strawberry cream cheese on the top of them. I then cut the berries into heart shapes and sprinkled them with powdered sugar. Kids and adults love them! 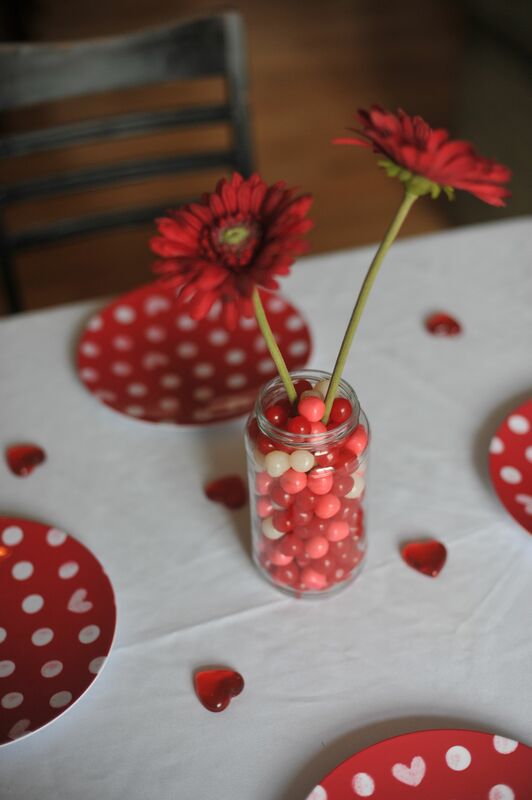 I love the idea of “candy” centerpieces for kids tables… I’ve seen M & M’s in vases, swirly suckers in vases, skittles etc… We did sour candies in a mason jar for our centerpiece…. BUT… The best part of our brunch by far was our FRIENDS… We had such a great time together… The kids played so well and the adults were even able to do some visiting!